GAMMA WORLD WAR! 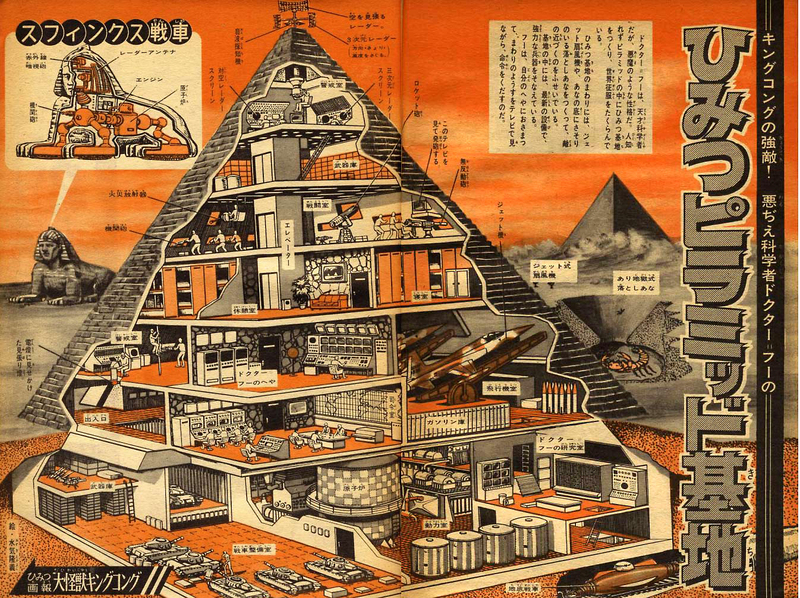 : Secret Japanese Pyramid Base! What is Gamma World War? Everyone needs one. From Shōnen Magazine, circa 1967 for a Japanese TV program called The King Kong Show. That is fantastic! Though fantastic doesn't even begin to describe the transcendent awesomeness of that schematic. Nice catch. Did you know the Sphinx was also a killer kaiju that turned into a lion-spider? Courtesy of the extremely zany--and very, very brown--Spectreman tv show from the early 70s. Dangerous Brian's Awesome P.A. posts! More flickr image gallery goodness! Multinauts YouTube show, think "Gamma World in Space"
Mutated Candy Men from No Signal! Gamma World War, Copyright 2010, 2011. Awesome Inc. theme. Powered by Blogger. The material on this blog is for personal use only and is not to be used in any way for profit or commercial use. All borrowed images and trademarked items are the property of their respective owners and no harm is meant in their use or mention.